Hi guys. Wolvenciel again for another review. I was thinking of posting this yesterday but I'd think that'd be pushing myself too much. And I guess there weren't any feedback from my previous post huh. Nothing. Oh well. 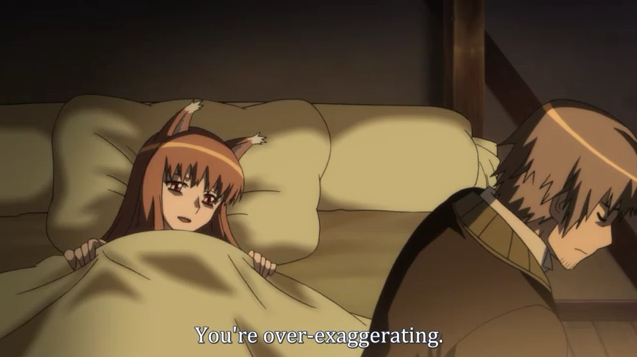 I'll be referring to the anime as SnW (Spice and Wolf, the English translation of the title) in the review. That's... a bit conceited if you ask me. 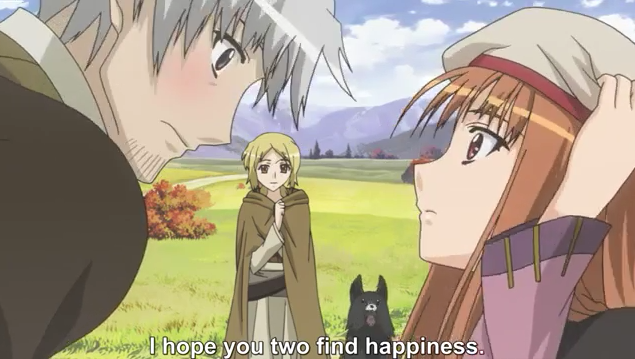 The opening of the anime tells you everything about Lawrence and Holo's relationship. Like it sounds so nostalgic and a bit melancholic as it tells you about how a traveler meets different people and go to distant lands and stuff. Good stuff right there. Opening is Tabi no Tochu by Natsumi Kiyoura. Ending is... just an ending song. And you gotta love Japanese Engurishu ( this is what we call broken English pronunciation by Japanese people). The song is in English of course. The Wolf's Whistling Song is sang by Ringo Hiyori. The anime is set in a medieval setting where the Church is in power and spirits and weird creatures are considered pagan gods. Well, religiously speaking that is. Its a setting where the Church controls all information and are struggling to rid the populace of pagan teachings to further increase their influence. More believers, more alms. You get the idea. Though I did talk of the church, the anime is anything but. Well, most of the time that is. 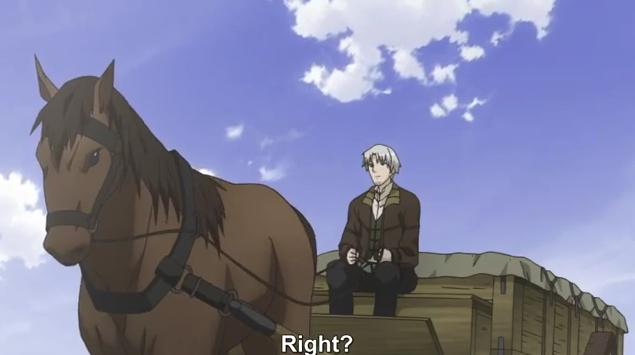 The anime is about a travelling merchant, Kraft (or Craft, whichever suits you) Lawrence who chanced himself in meeting a great wolf in Pasloe, a town he deals on wheat business. 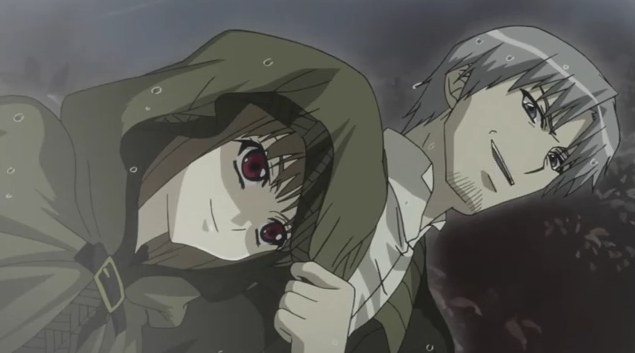 After one transformation and two naked wolf-girl scenes, Lawrence agrees on accompanying Holo back to her hometown in the north, the Woods of Yoitsu. Thus, their journey together began. 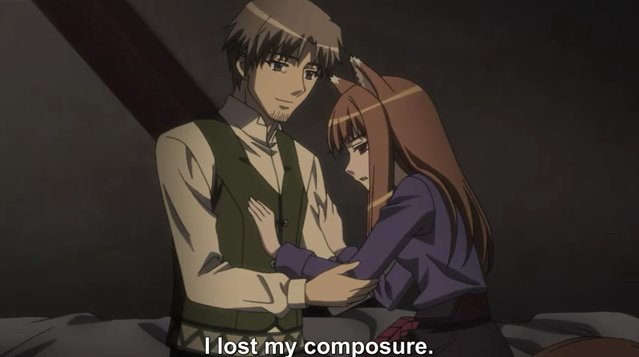 The anime, of course focuses on the two characters, Holo and Lawrence. Now you might think that it'd be one of those sappy, sugary sweet love story. You're wrong. Holo is surely a maiden, yet a wolf all the same and Lawrence is a merchant who never even had a travelling companion before. He's slow in these things and surely, most of the time Holo punishes him for it. Guess why they did this. Hahahaha. As the story goes though, the exchange between Holo and Lawrence becomes a bit more balanced. 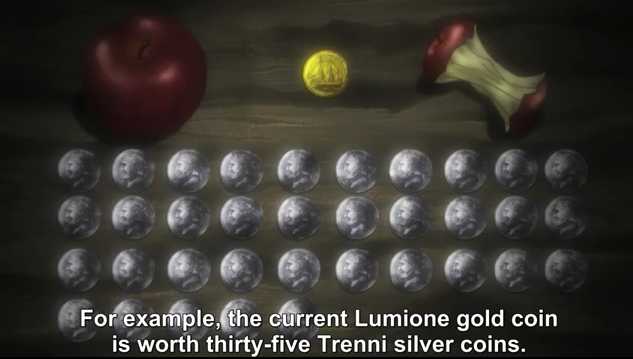 Its usually Holo teasing Lawrence and having her ways with him but as the anime goes, things get better. For Lawrence, I mean. One such character is Weiz. 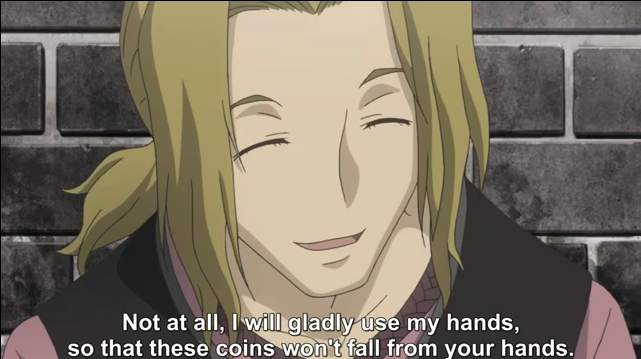 A flirtatious money changer. 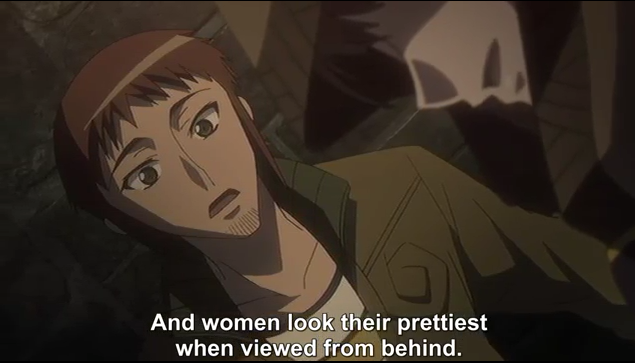 Most of the side characters are quite memorable as well. They're not there just to progress the plot but also to add more colors to the story. The anime consists of roughly four volumes of the novel. I'll split the plot according to that order. The first 6 episodes covers volume 1 of the novel and episode 8-13 covers volume 2. 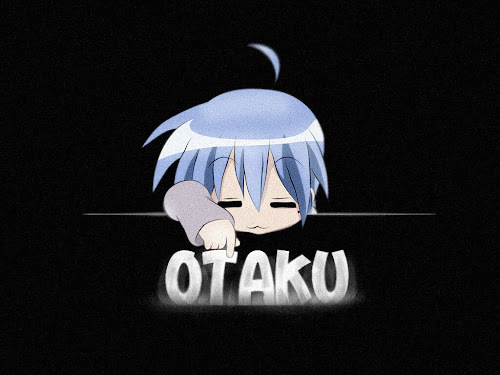 This makes up season 1 of the anime. Episode 7 of the anime is actually a filler taken from volume 7 of the novel (yes the novel had a filler volume). Season 1 mostly talks about how the mercantile business works and of the various aspects of medieval trading itself. 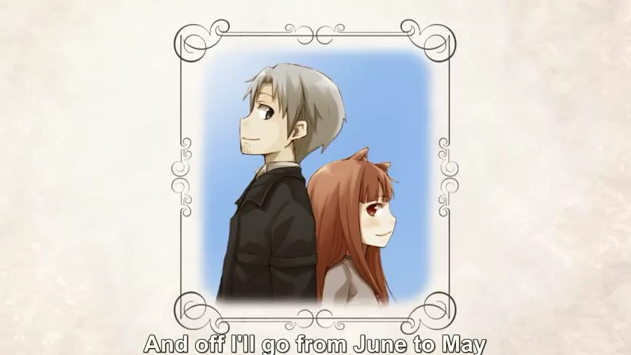 It doesn't really show much growth on Lawrence and Holo's relationship. 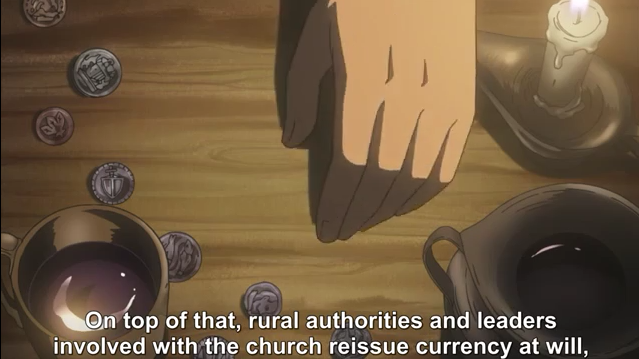 The anime will mention the Church a LOT. Because that's basically the law back in those days. The second season however... Is just too much. It starts off with episode 14 which is also a filler from volume 7 of the novel as well (he had three side stories in that one volume so yeah) and in my opinion... this one episode might just be for those with beast-ear fetish. I'm not joking. This is the closest you'll get to fan service in this anime. All the lovey dovey and stuff and what not are in the second season. Yummy. Episode 15-20 (I'm just continuing them off from season one in case you guys are confused) makes up volume 3 of the novel and boy this arc would make you go crazy with all the love war going on. This is where the heat turns up a bit too high. Really. Then episode 21-26 covers volume 4 of the novel. This was in the first season though. Truth be told I'm a little bit confused myself as on how to weigh this anime. The guy who wrote this knows what he's doing. 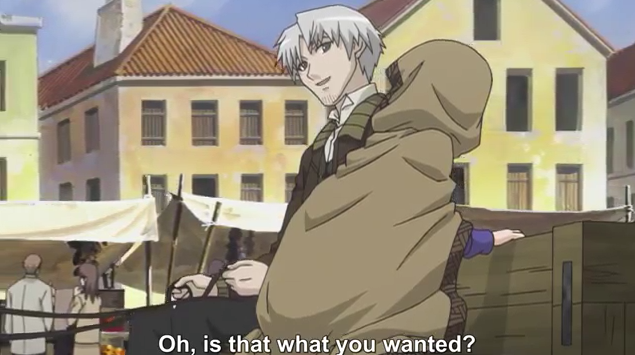 He weaves romance and business so well together that sometimes you just don't know you're watching a medieval trading anime or a love story. You'll grow to like this guy. Trust me. A bit of a warning though, sometimes there are a few terms used in the anime that are a bit too complicated to take in one short viewing. I really do suggest people who are interested in how the story works to watch and digest slowly. Its worth your time when you actually do see eye to eye with the characters themselves as to what they're dealing with. So yeah. It IS about medieval commerce. So this is a given. I guess... In this sense the anime is quite heavy. I had to watch the whole thing twice to get an accurate idea of the whole situation in every arc because each arc had different problems and different terms tied to those problems. I hated it. It concluded the same way the novel did and its not because its bad. No. Far from it. The ending was beautiful. But I am sure even you'll hate it. That is why I decided to read the novel and see for myself what happens next. This isn't the ending though. That's Nora Arendt by the way. Another side character. The ending... was too sweet. 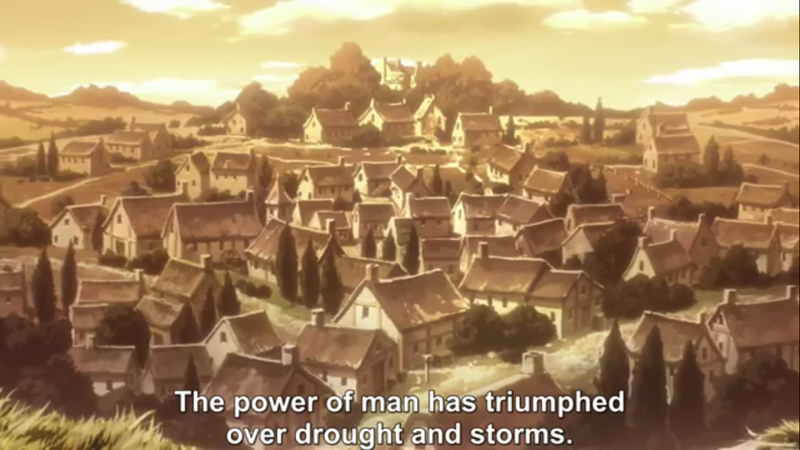 If you love medieval settings, this anime is just for you. Like medieval battles but not medieval business? Go and take an arrow to the knee for all I care. The anime does have a few thrills and action up on it's sleeves but mostly its business or love or schemes or figuring out schemes. Oh. You'll also hear lots of wise words from people in this story. Its interesting. In case you guys realized it, I did say love but its hard to explain. Its not one of those shoujo comic lovey dovey kind of stuff, you know. Sigh. You have to watch it yourselves to find out about that. I really don't know how to say. Again. Rate, give me a friggin feedback and share this to people who you think haven't watched this gold piece yet. This is Wolvenciel, signing off.